The two people who have asked me for this help recently (my friend Lara and the other friend of a friend) have some different needs and others that overlap each other. For starters, Lara is Jewish and the other woman is not. To my knowledge, neither is particularly religious, but I suspect that there will be more emphasis (though not to the point of exclusion) on Christian sites for the friend’s friend, and more on Jewish sites for Lara. Additionally, while both are on somewhat limited budgets, they seem to me to be in slightly different ranges of the lower end. Finally, with Lara, I will be spending a larger portion of the time, whereas with the other person it is more advice, or perhaps a single day that I will be with her. Itineraries in Israel need to incorporate such a huge variety of sites/purposes. There are historical sites from well over 3000 years (thus both ancient and modern history) and numerous cultures. There are religious sites of many varieties. There are museums of all stripes and activities of many kinds, from hiking, to beaches, to historical reenactments, to archaeological digs, etc. There are also cultural and experiential activities: culinary sites, music events, festivals of all kinds and just good bars, restaurants and nightlife. What do you think is a must-see for a first-time visit to Israel? Both for a Jewish traveler and a Christian one? A few of the must-sees I have are obvious: Western Wall, Masada, Church of the Holy Sepulchre, Tel Aviv-Yaffo, Kinneret, Dead Sea, Ein Gedi, etc. But what else? I would say take them to machane yehuda on Friday afternoon. Fun for all religions! A lot of history buffs like Acco; personally I’d skip it but that’s just me. I’m down on Eilat, not critical. Sde Boker to get the Ben-Gurion part? Or a hike in the machtesh? Ein Gedi is very cool but I don’t think it’s a must must must if time is limited. 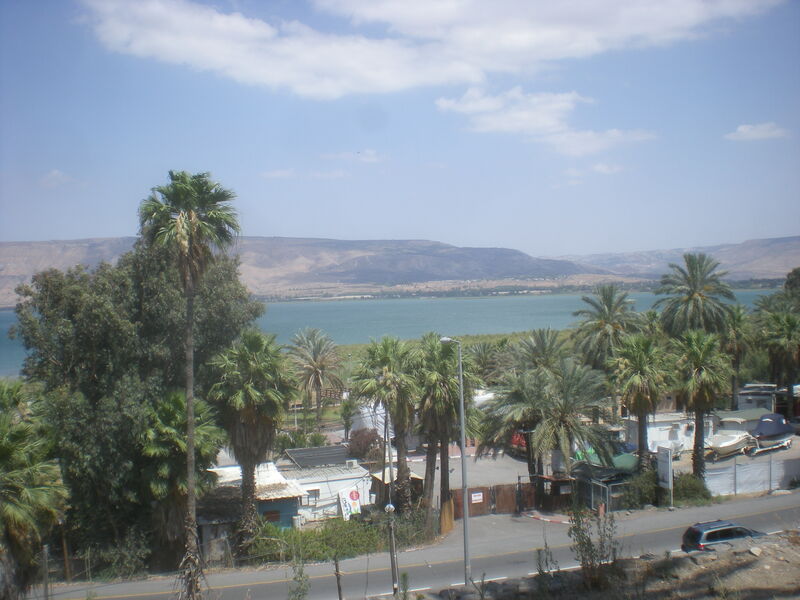 Around the Kinneret, I am personally a big fan of the Church of the Multiplication of Loaves and Fishes. Not for the religious aspects, but because of the mosaics which represent 4th Century around the alter and then 8th(?) century around the rest of the floor. You can see the advance of the art form and evidence of population that far back. Plus, it’s just a nice, calm location. I’m a big fan of mosaics, so I would also recommend Tzippori – the Mona Lisa of the North. In terms of art, this is absolutely incredible. In terms of location, you can see the remnants of the ancient town. For a weird experience, there is a Kangaroo petting zoo in the North, but I can’t remember what it’s called. And depending on the temperature, Yavne is a good place to spend a relaxing day. Also, I think the usual sites are done and done and overdone. Sometimes, it’s better to see a site that is off the beaten path to get a better feeling for the country, not just its tourist sites (and its crowds of tourists). Yad Vashem – a must. For the friend with three weeks, I would include shabbat in Tsfat and Hafai for the Bahai Gardens and that awesome train up Mt. Carmel. Thanks everyone SO much. Some really good suggestions here, including a few that I definitely hadn’t thought of! If others are coming to this now, would love to get other ideas still! And I of course have come up with more on my own. Will try to update you afterwards as well! I am going to try to keep a list of everything we decide on and do, including just fun nightlife stuff (since I am Fun Joel! ), and will post it here later for those who may be interested.